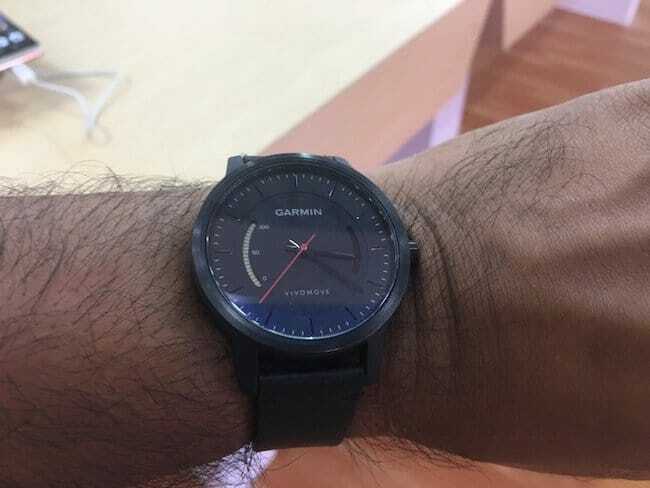 Garmin is a leading brand in manufacturing of global positioning system devices, but now they are going to get into a totally new business by launching a series of hybrid smartwatch named Vivomove. 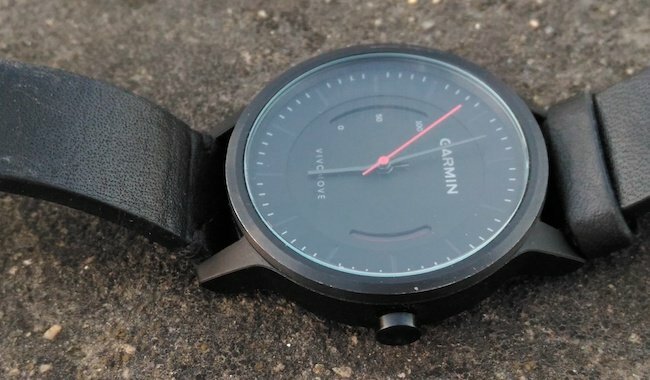 These analogue smartwatch does not have GPS. However, the basic tracking features will be equipped such as activity tracking, sleeping, etc. 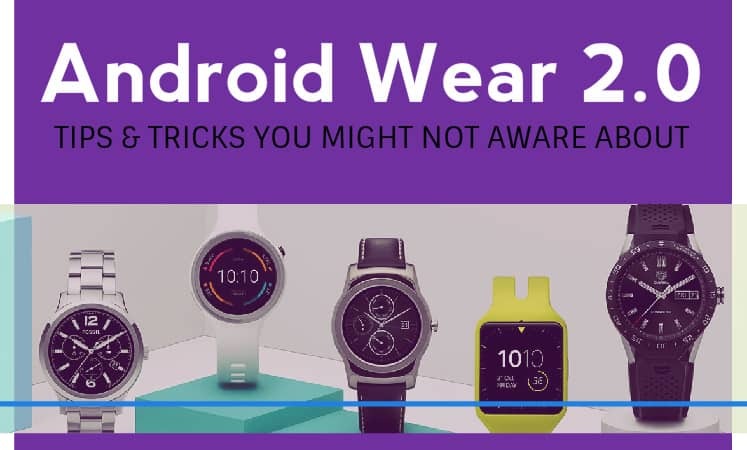 Look wise these watches are closer to normal wrist watches rather than the Apple or Google Watch. 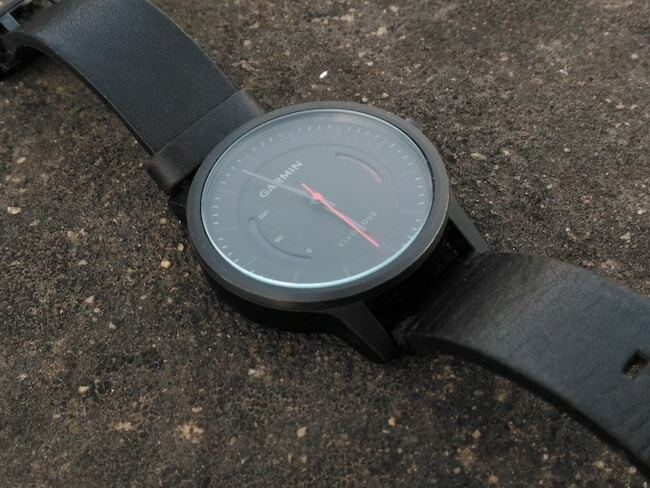 The similarity of this Vivomove with the normal watches is also reflected in the battery life. There is no need to charge the battery for more than a year and you can replace it with cell that you use in normal watch. The Garmin Vivomove classic is beautifully built and have large bezel. 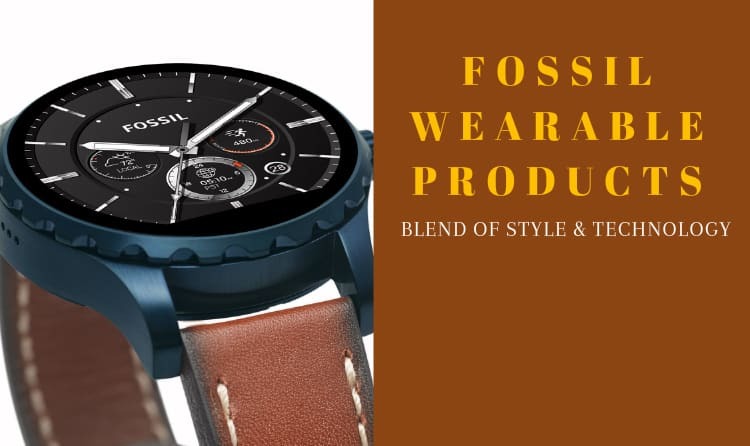 The design of all versions look svery stylish and is more fashionable than other fitness trackers and smartwatches. The design of the Garmin Vivomove classic suits the personalities of professionals and is more male-centric. The heaviest version along all three is the premium edition that weighs around 76 grams, which is same as the other watches. The 42 mm watch face is big in size and there is no smaller version available as of now. 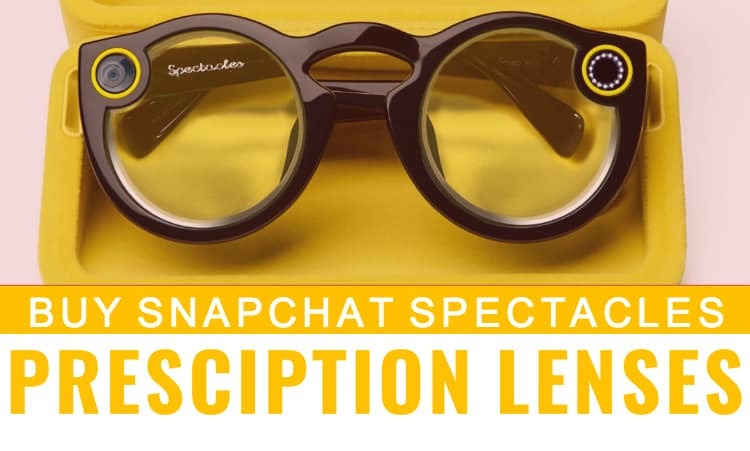 Though, there are various colour options available to customize the look. The build quality of all three variants is remarkable and the company has not compromised with the standards. The straps of Garmin Vivomove classic are also comfortable and do not cause any skin problem. Garmin Vivomove classic comes in three variants: Sports version with rubber strap, steel and leather Premium edition and the Classic model. 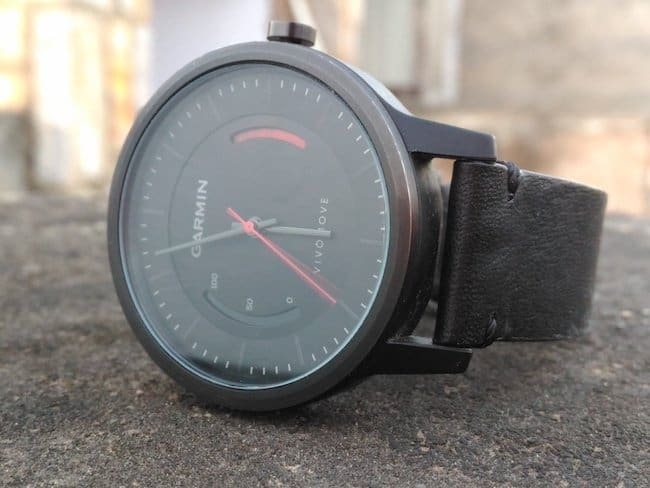 Garmin Vivomove classic looks premium in hand and users will be surely get attracted by its charm if they do not pay too much attention to the quantity of features. 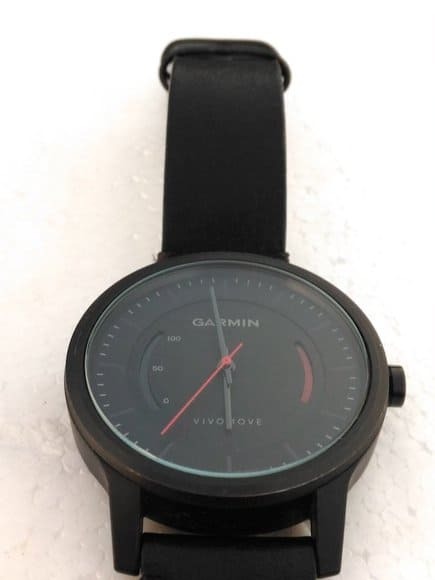 The Garmin Vivomove classic has an analogue watch face and does not feature any LED screen in the center to display notifications such as the steps taken, heart rate etc. However, it boasts two little indicator bar on the left and right side of the face that turn Vivomove into a smartwatch or fitness tracker. The left bar is white in colour which gets filled with black segments when you start moving and helps you to find out that how far you are from your daily target. The bar on the right side is red and fills up when you are not doing anything or simply when you are sitting idle for long hours. 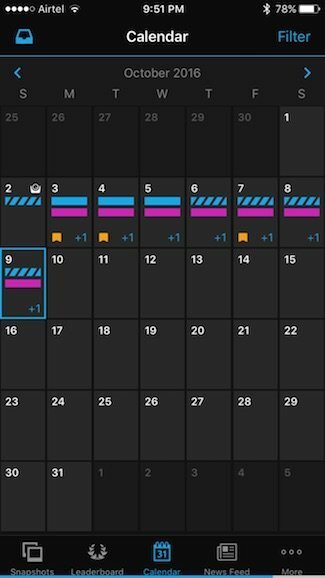 Once you move around, the bar starts filling with black segments like the other one. Garmin Vivomove classic includes an accelerometer sensor to track your movements. 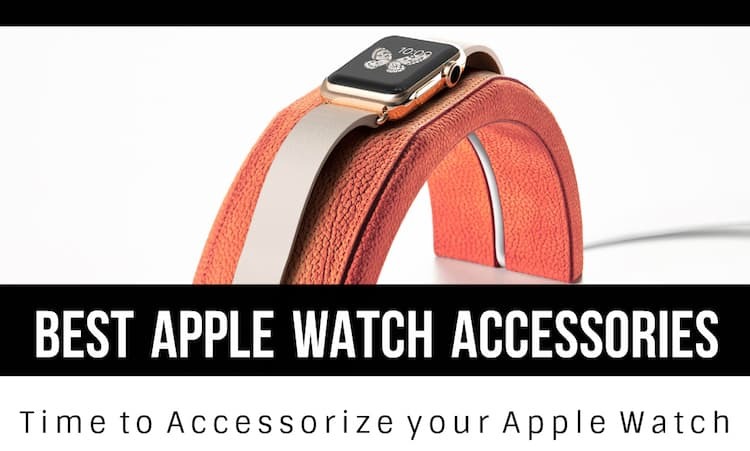 Since the watch has limited functionality, it is simple to use. You can expect Garmin Vivomove classic to last longer than other smartwatches available in the market. Garmin Connect app helps Vivomove to keep the track of your fitness related activities such as running, walking etc. and the watch interacts with your phone via Bluetooth so that you can transfer the data. Though, in order to perform sync, you need to press the button on the side for at least one second as it doesn’t start synchronisation automatically. 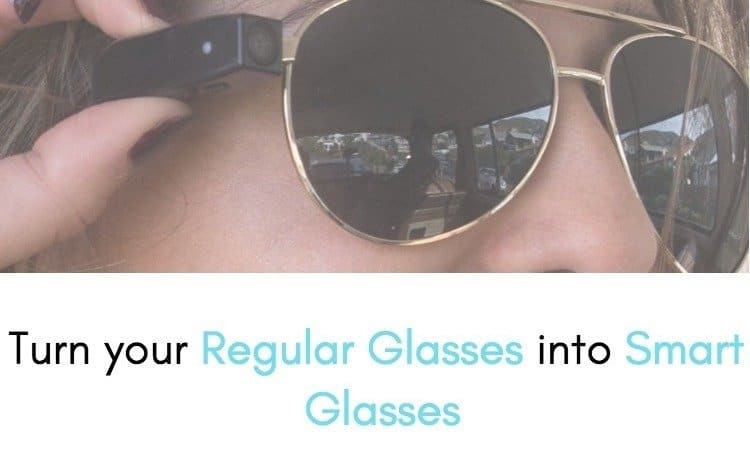 Not only that, it also tracks down your sleep activity in which it shows how many hours you slept and how much is deep and light sleep. 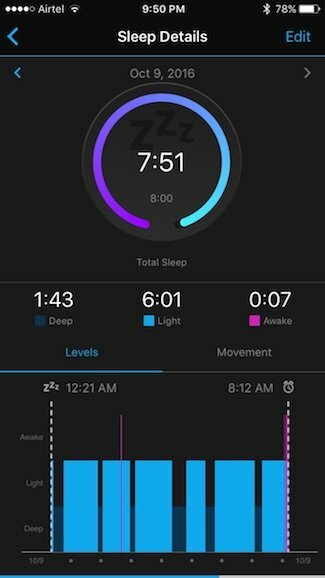 The Garmin Connect app delivers satisfactory performance and shows graphs of your activities and sleep pattern on daily and weekly basis. 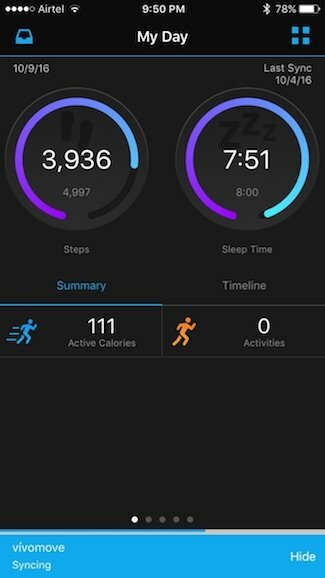 The Garmin Connect software is developed in such a way that it can grasp more information from other sports devices. The Garmin Vivomove classic packs a CR2032 cell battery which can easily last for the year. 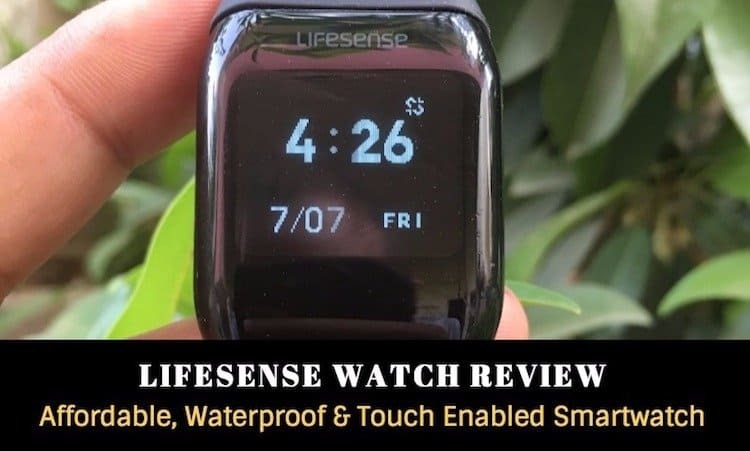 The watch seems to have low-maintenance, but it is advisable to change the battery by taking help of a specialist because the water seal needs to be maintained. The watch is 5 ATM (atmospheres that tells about the amount of pressure a watch can handle) and withstand up to the depth of 50 meters. It works with Android as well iOS smartphones using Bluetooth 4.0. Garmin Vivomove Classic: Whether you Should Buy it or Not? 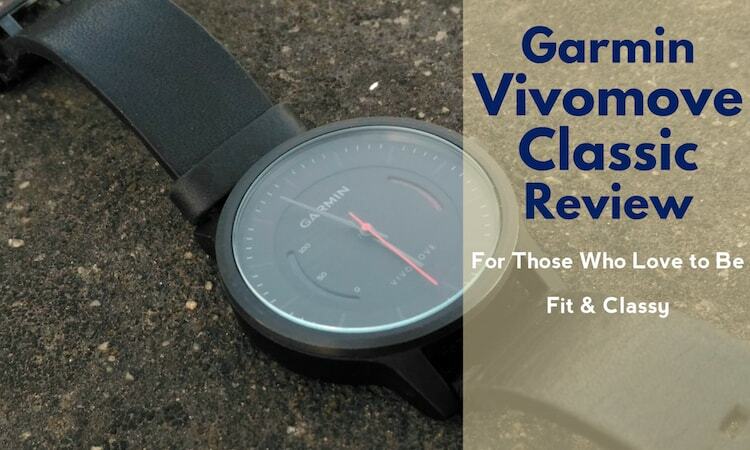 So, here’s our Garmin Vivomove Classic review and after using it for more than a month, we came to the conclusion that if you are after a regular wrist watch with more functionality than Vivomove classic is a good option for you. Garmin Vivomove classic has all the useful functions like activity tracking, sleeping, running, etc. and it looks classy which goes with both formal and casual dressing. 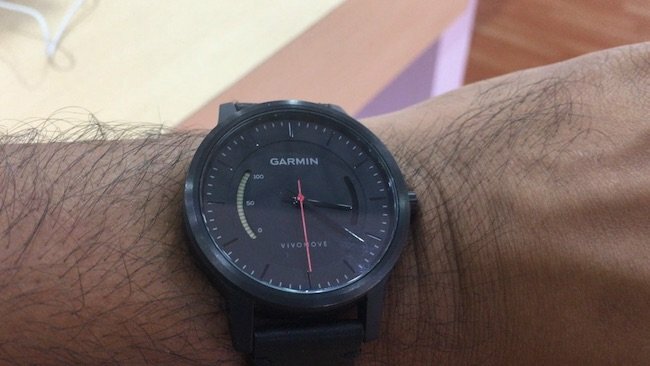 Garmin Vivomove classic looks great and comes at a reasonable price so those who do not tend to buy fitness tracker, due to the geeky look can think about it.